Andrew Constance, Uncle Les, Melinda Pavey and Uncle Owen. Photo: Supplied. 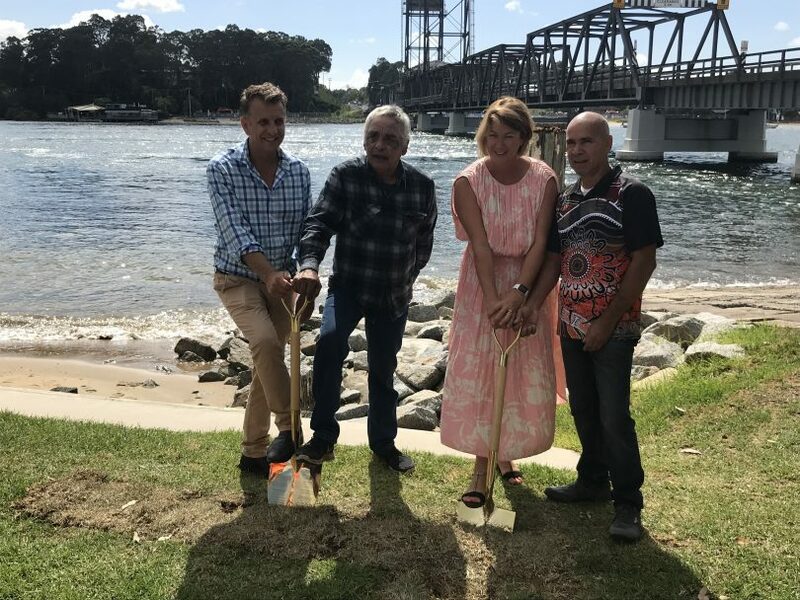 Major work on the new Batemans Bay Bridge is underway with the first sod turned and a new training hub officially opened at the weekend to upskill the local workforce. “Today we celebrated two major milestones for the Batemans Bay Bridge project, the opening of a new facility to help inspire and empower the future skills base for the South Coast, and the start of major work on the bridge,” says NSW Roads, Maritime and Freight Minister, Melinda Pavey. 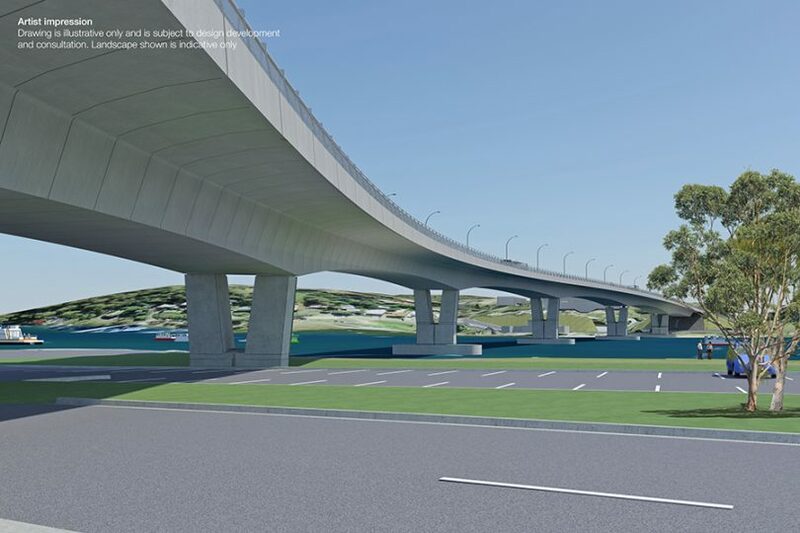 $274 million has been invested into the project; its hoped the new four-lane bridge will improve freight access and reduce traffic delays in and around Batemans Bay, while the linked skills centre on the old bowling club site will help deliver a new workforce for the region. In the coming days, locals will start to see crane platforms being built on the southern side of the river, which will house large 250-tonne cranes that will be used to install piles, piers and platforms for the new bridge. Piles are large columns generally made from reinforced concrete or steel. Inserting piles into the ground can take between one to two days depending on the length and size. They are driven or bored into the ground using cranes, piling rigs and vibrating hammers. The piles will create a stable foundation for the new bridge, transferring the weight of the structure deep into the ground. Once the piling is complete, the pier building will start, followed by the installation of 168 pre-cast concrete segments that will form the deck of the bridge. Following community feedback, there will be fewer piers in the water and wider spans for improved river flow and navigation, and a more appealing bridge design. Access to the Batemans Bay town centre will be maintained at all times during construction. When it comes to managing the environmental risks, NSW Roads and Maritime Services points to a number of mitigation measures, including floating barriers around work sites to contain and control silt, physical barriers on land to contain any potential spills, a strict regime of testing, monitoring and inspection, and a 24-hour community hotline for reports – 1800 870 119. The new Batemans Bay Bridge. Photo: RMS. The Training Hub, which officially opened on Saturday, “is specifically aimed at under-represented or disadvantaged groups,” Mr Constance says. The Hub will accommodate around 80 students and will be used for a range of courses, “to meet the needs of the evolving workforce and labour requirements,” Mr Constance says. The site will also be used for project site offices and a community information centre. The existing bridge will be removed in large sections once the new bridge is complete and transported to site compounds for further demolition. Don't knock down the old bridge. Use it for trendy boutiques and really unusual art and crafts. Dedicate Aboriginal artwork from our locals. Walkways. Cafes with the sea breeze. Shucked local oysters. Trendy boutique beers. I really would have thought the old bridge was an iconic part of the town. So sad that they feel the need to destroy an iconic bit of heritage. Is it too late to save it?